A severe injury is always a big tragedy for the athlete, coaches, family and also the management of a club which obviously loses a lot of money. The deepest wish of all people involved is to come back as quickly as possible and remain uninjured. So, in turn, the Sports Medicine and Sports Performance Staff (SMSPS) carry a big load on their shoulders to provide the best conditions for a smooth, fast and successful return-to-sport (RTS). Furthermore, rehabilitating an athlete should use a holistic approach to cover the bio-psycho-social aspects involved in the progress (Ardern, Glasgow, Schneiders et al., 2016). In other words as an SMSPS we all should consider the rate of tissue – (muscles, tendons, bands, cartilage, and bones) and neuromuscular regeneration, motivational and readiness states as well as provide and ensure appropriate social support of an athlete. This, in turn, should give the possibility to ensure “Return-to-Performance” which extends the RTS element and implies that an athlete returned to the field is performing at least at the preinjury level or above (ebd.). Sounds good to me! So the aim of this blog article is to present some overlooked possibilities of incorporating more of the magical organ in our skulls into rehabilitation, as it is highly adaptive to every environment and task – this fact should not be neglected. Incorporating findings of neuro science in the reconditioning programs of athletes is therefore in pursuit to fulfill the theoretical model of return-to-performance – use rehab to become a higher performing athlete on all related general qualities of the sport. As this is a vast topic I´ll present three innovative possibilities that from my perspective can be of high value to athletes (not only from team sports). Ardern et al. (2016) had in their consensus statement of RTS an interesting comment on the utilization of predominantly closed skill test procedures (e.g. single or triple hop, T drill, figure 8 runs) to evaluate the physiological state of rehab. That´s a good point since for example team sports require open skills in addition to closed skills – “Open skills have a reactive element to execute the motor task, usually in addition to decision-making, often in a fatigued state”. Research also shows that the mixture of cognitive load and fatigued state leads to impaired motor control of the knee joint during landing tasks (Borotikar et al., 2008). 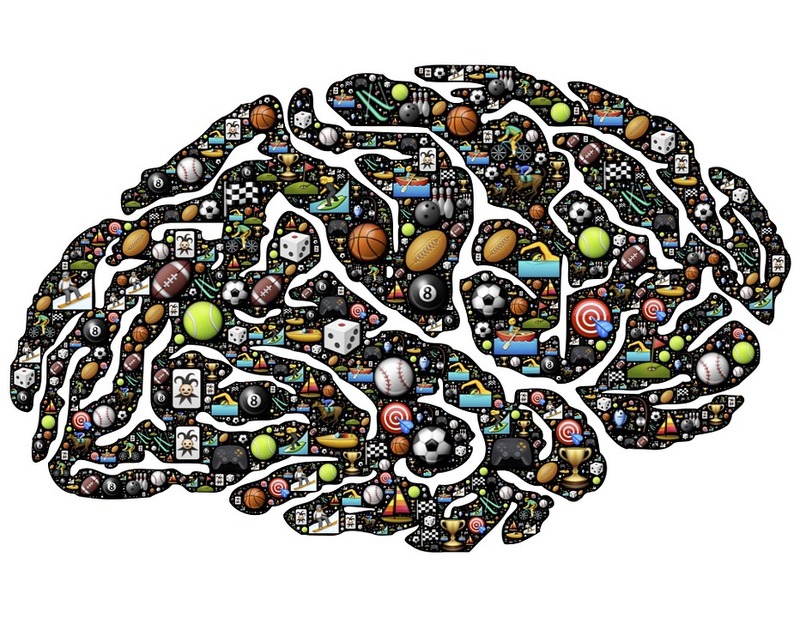 That tells us that we should consider not only the biomechanical factors of an injury but also the cognitive functions – Train the brain for sports! What is 3D-multiple object tracking (3D-MOT)? It´s a task where the individual stands in front of a flat screen or projection wearing 3D-glasses. He/She has to track a set of randomly moving balls while inhibiting others (e.g. 4 out of 8). This method has been shown to have some transfer to soccer decision making performance (Romeas, Guldner & Faubert, 2016), and improving attention, visual information processing speed, and working memory (Parsons et al., 2014). Hence, athletes who are frequently exposed to 3D-MOT can handle more visual information in less time and make sense out of what they are seeing. In high speed plays on the field or pitch we have a similar scenario. Several players + ball + game play + body awareness. Why can it be advantageous for rehabilitating team athletes? Somewhat anecdotal but hard to neglect is the subjective impression of an injured athlete losing the rhythm of game speed. It´s like they aren´t used to the visual informational load occurring in game situations. Only restoring physical capacities in a team sport athlete should, therefore, be considered unsatisfactory. Injuries by itself occur mostly in a multi-stimuli environment, that means several kinds of information like “variable surfaces, movement planning, rapid decision making, variable player positions and environment interactions, and unanticipated perturbations have to be processed at the same time” (Grooms, Appelbaum & Onate, 2015). Now we switch to an everyday rehab scenario where you see athletes still exclusively running pre-planned figures with an internal focus on movement – it just makes no sense anymore. Don´t get me wrong there is a time to focus all senses available on the injured part but at some time we have to understand that movements in a game occur almost sub consciously dependent on a situation. The biggest non-physical stimulus during soccer, basketball or football games is the task to track several players and the ball at the same time and define their position in the space related to the individual. An injured player isn´t able to get this stimulus on the field while he´s injured – so we should figure out a way to keep his attentional and cognitive abilities on a high level or even improve it. In addition, Houck, De Haven & Maloney (2007) showed that people with ACL injury history performed worse in a cutting task when a visual task was added in comparison to non-affected people. This goes along with the finding of Grooms, Appelbaum & Onate (2015). They state that after an ACL injury the information flow from the injured area to the brain is disrupted and therefore lead to a higher activation of motor planning area in the brain which relies more on visual input. So a possible conclusion might be that athletes who return from rehab have an altered system of sensory input from the injured area and representation in the brain. The organism continues to rely more on the visual input for motor planning than gathering information from the previously injured part up to the brain. That, in turn, could hinder the right motor control to external stimuli from game situations and potentially lead to higher re-injury risk. An appropriate method to address this deficiency might be the combination of the 3D-MOT stimuli and incorporating motor control tasks (controlling a ball; balancing, hopping etc.). The mentioned software (Neurotracker) can also be paired with a motion sensor which allows creating reactive components – avoid oncoming blocks while tracking the set of balls. I talked to Dennis Meszler of the Raleigh Orthopaedic Performance Center about my idea. He gave me his experiential advice to be aware of progress from the safest to the least safe conditions. Neuromuscular control and the 3D-MOT-ability could be trained independently in the early phases of rehab. Afterwards, first, ensure neuro muscular control of movements then add a cognitive component. Don´t raise both at the same time – overloading the sensory system could lead to complete loss of motor control. The progression in 3D-MOT is inherent to the software. Further, the Neurotracker software is equipped with an algorithm that adjusts to the level of the athlete. The more correct trials the faster it gets – it will adjust speeds relative to the person using it to provide appropriate tracking speeds for the given day. Athletes receive immediate feedback about performance gains which keeps it accountable and ensures high motivational levels. Athletes want to compete – let them compete also in the rehab phase! This method serves the theory of specificity. Train what has similarities to your sport. So adding a specific visual-cognitive stimulus to the existing physical abilities might lead to a more appropriate reconditioning of the athlete. In the upcoming parts two and three, I´ll present some methods to enhance the body awareness and potentially speed up rehab durations by inducing higher transfer abilities of movements. Grooms, D., Appelbaum, G., & Onate, J. (2015). Neuroplasticity Following Anterior Cruciate Ligament Injury: A Framework for Visual-Motor Training Approaches in Rehabilitation. Journal of Orthopaedic & Sports Physical Therapy, 45(5), 381-393. Houck, J.R., Wilding, G.E., Gupta, R., De Haven, K.E., Maloney, M. (2007). Analysis of EMG patterns of control subjects and subjects with ACL deficiency during an unanticipated walking cut task. Gait Posture, 25, 628-638. Parsons, B., Magill, T., Boucher, A., Zhang, M., Zogbo, K., Bérubé, S., Scheffer, O., Beauregard, M. & Faubert, J. (2014). Enhancing Cognitive Function Using Perceptual-Cognitive Training. Clinical EEG and Neuroscience, 47(1), 37-47. Swanik, C.B., Covassin, T., Stearne, D.J., Schatz P. (2007). The relationship between neurocognitive func­tion and noncontact anterior cruciate ligament injuries. American Journal of Sports Medicine, 35, 943-948.